Test pieces for The Gables. Getting ready to mail a new brass tesselation to friends in NYC. Dropped off 8 new pieces at The Gables on Cesar Chavez. Finishing up a custom piece for a client in town. Excited to install it! Wood Tessellation installed in the new milk + honey spa in Austin, Texas. Dermal Map | Brass installed! 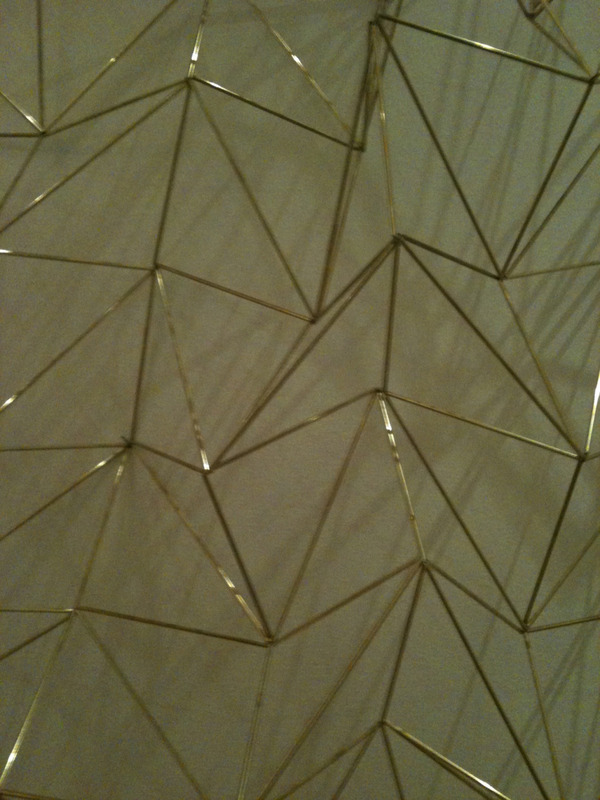 Brass Tessellation installed at the new milk + honey spa in Austin, Texas. If you’re in the Ann Arbor area, please join us at the Kreft Center Gallery for an artist reception celebrating the opening of our exhibit SLICE: Connections and Deviations. Artist Reception: Friday, November 11th from 7-9pm. The exhibit will run through December 4, 2011.